More than $30 billion in verdicts and settlements for our clients. Numerous state and federal laws, including the False Claims Act (FCA), provide for private citizens to claim financial awards for reporting fraud against the government, or fraud against private investors. Despite this law, the idea of blowing the whistle on an employer or business partner can be frightening. Losing one's job, reputation and livelihood are all valid concerns in these situations. At the law firm of Berger Montague, we have a nationwide law practice representing whistleblowers who have the courage to stand up for what is right. Our Whistleblower, Qui Tam and False Claims Act group is among the largest in the country, and our law firm has the experience to take action against any fraud, wherever it occurs. We have the resources to prosecute the largest and most complex whistleblower cases across the country, and we have a proven track record of success built over many years of litigating in this field. What is qui tam, exactly? Qui tam is a legal term originating in medieval England and derived from the Latin "Who sue on behalf of the King as well as for himself." The United States adopted qui tam provisions as part of the False Claims Act passed during the Civil War when the Union Army was sold large quantities of defective military equipment. Under the qui tam provisions of the False Claims Act, people who know about fraud and report the fraud may be awarded a portion of the funds recovered. Qui tam lawsuits have helped identify and punish many types of businesses and individuals who have defrauded the federal and state governments, and private investors. Whistleblowers have returned billions of dollars to the government by reporting fraud. In the process, these courageous individuals have earned the gratitude of their nation, and financial compensation. 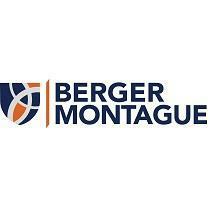 At Berger Montague, we offer free consultations to potential whistleblower clients. If we determine there is a viable case, payment for our services is by contingency fee, which means you won't have to pay us unless we recover money for you. If you are seeking whistleblowers' compensation and confidential legal advice in connection with alerting the government to fraud, our qui tam lawyers are ready to assist you in any jurisdiction in the United States. Contact us today at 888-647-9292.